At GreekYearbook we make work fun, and also happen to be animal lovers. As a result of those two traits, we of course take our Dog Composite planning to the next level. 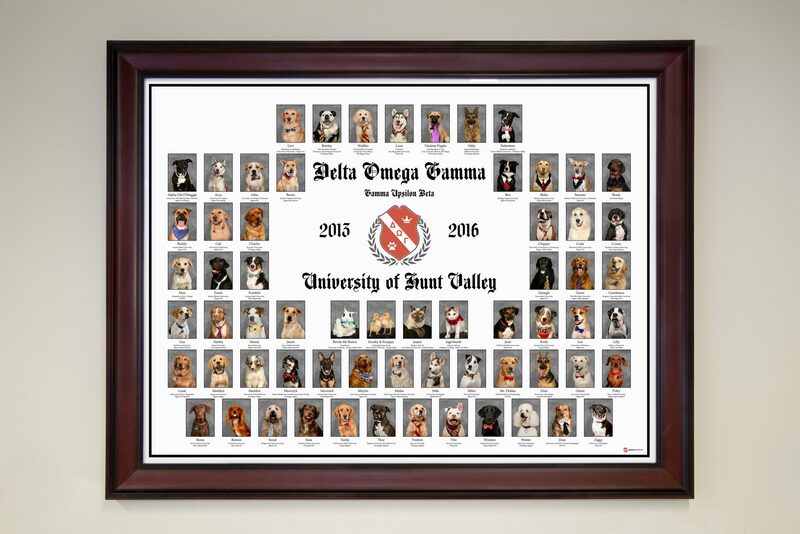 Thanks to all of our sorority composite and fraternity composite mascots, we have plenty of “members” to fill large Dog Composites that we proudly hang on our office walls. 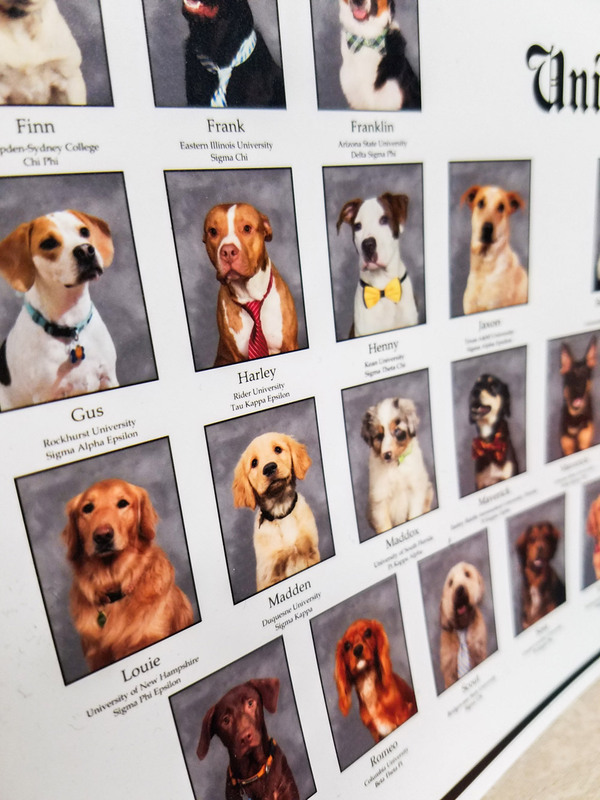 I sat down with Georgia, our Dog Composite Chair, to document exactly what goes into creating this glorious office tradition. Q: First, where did this idea come from exactly? A: Our first dog composite was created in 2011-2012 as a fun project to decorate the office, and we wanted to start making one annually! We were pulling mascot photos this past year for our weekly “Chapter Mascot of the Week” posts on Instagram, and we realized there are plenty of mascots to create another full composite. Q: Once you decided that you wanted to move forward with the composite, what were some first steps you took? A: We compiled hundreds of mascot photos from our files. 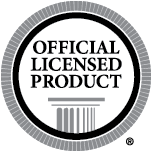 Once we narrowed it down, we created a composite myGYB account and submitted the Ordered List so our designer could get started on the proof. Q: How did you choose Officers? A: First, we came up with the officer positions we wanted to fill, ex: “Vice President of Treats.” Then we selected several candidates that really exemplified the necessary traits in their photos, and held officer elections during our bi-weekly company meeting. Q: All of the “members” look so great together, how did you achieve such a great overall cohesive look? A: We tried to select as many mascots as possible that dressed up for their photos (bow ties, bandanas, etc.). Obedience was also key – we needed dogs that were sitting and facing forward for their photos. One of our composite designers edited in our standard grey backdrop, if it wasn’t used already, so that each photo looks as cohesive as possible. Q: I see you chose a classic white background with black text and a black border. What made you choose those Composite design options? A: You said it – it’s classic! Q: Sorority composites and Fraternity composites have a crest in the center and I see that you have one for your Dog Composite too! How did you come up with that? A: Our Brand Identity Manager came up with a simple but dignified design. 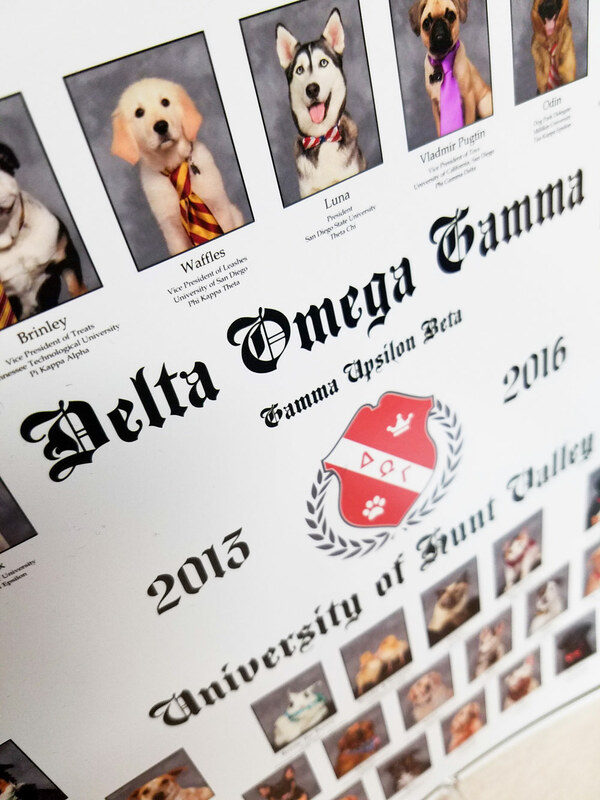 In the banner across the crest, she included the Greek letters for “Delta Omega Gamma” – DOG! We went with our GYB red that matches our logo too. Q: I LOVE the frame that you chose. It really accentuates the natural hair color of so many of the members. What frame did you choose for your composite and why? A: The frame style is called “Stained Mahogany.” It’s the most popular frame with our greek composite customers! Q: Overall, are you happy with how your Dog Composite turned out? Thank you, Georgia for helping to create something so great for GreekYearbook. Check out our completed Dog Composite below and let us know what you think!